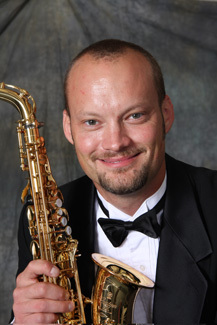 Saxophone soloist Scotty Stepp will join the DePauw University Band, led by Craig Paré, in a performance of Evan Chambers’s blues-inspired Concerto for Alto Saxophone and Band this Sunday, March 8, at 3 p.m. in the Green Center’s Kresge Auditorium. The ensemble will open the concert with two English masterpieces -- Philip Sparke’s Overture for Woodwinds and Ralph Vaughan William’s Toccata Marziale. Stepp, who directs the DePauw School of Music saxophone studio, will then take the stage to perform an untraditional, but exhilarating concerto by the up-and-coming American composer Evan Chambers. 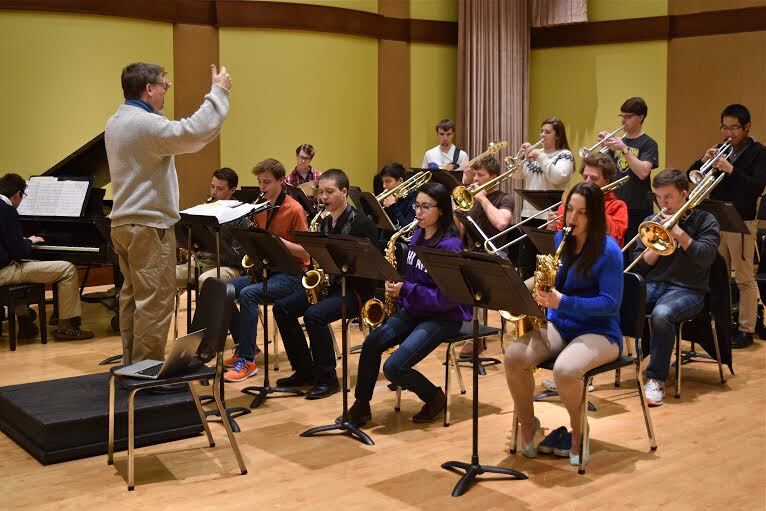 The DePauw Jazz Ensemble will present its first concert of the semester on Wednesday, March 4 at 7:30 p.m. in the Green Center's Kresge Auditorium. The ensemble will bring an extremely varied set to the stage, mixing funk, swing and hard bop, with classic jazz tunes and less familiar works, including some great charts by Don Menza, Bob Mintzer, Paul McKee, Eric Richards, Frank Mantooth and Toshiko Akiyoshi. 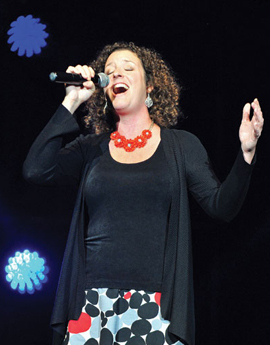 The jazz ensemble swings just as hard as last semester, but with an added flair: new soloists. Saxophonists Tyler Schaefers and Aubrey Ault and trumpet player Laura Egyed will be adding their individual flavor to the group’s stylings this spring.